Curry powder is an Anglicization of the spices found in traditional Indian cooking; it is a mixture of spices rather than a spice in and of itself. Traditional Indian cooking focuses on sauces, and it is believed that the word "curry" is derived from the Tamil word for sauce, "kari." 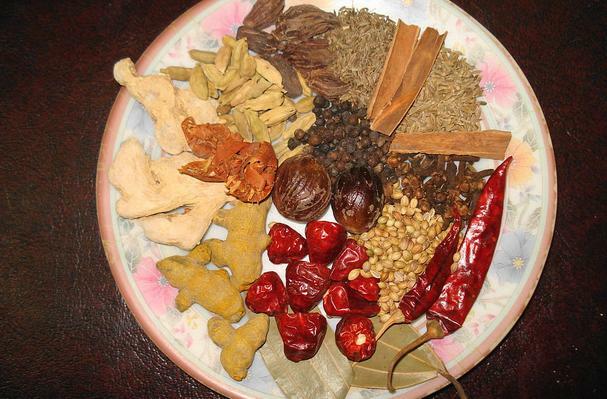 British colonists tried to market these Indian sauces by replicating blends of these spices, most commonly turmeric, cumin, coriander, and red pepper. This is why curry powder is never mentioned in Indian cookbooks or why certain curry sauces will taste remarkably different from others. Curry powder is a blend of spices with recipe varies from region to region, pakistani curry powder, madarasi curry powder. It is usually represent the taste of that part or culture of peoples. Curry powder is fit for all vegetable, pulses or meat dishes of that particular region. Buying: fresh and branded are more popular, because these are uniform in quality and taste. you can prepare at home or can select from different brand available in market.